How much happiness can you fit into 24 feet? About as much as has accumulated in 5,000 years of Jewish cultural heritage. And when the feet belong to the dancers of the Parparim Ensemble, the answer is expressed in terms of smiles and cheers. The Parparim Ensemble impressively demonstrates the diversity of the Jewish people and modern Israeli culture through an exhilarating program of dance and song. 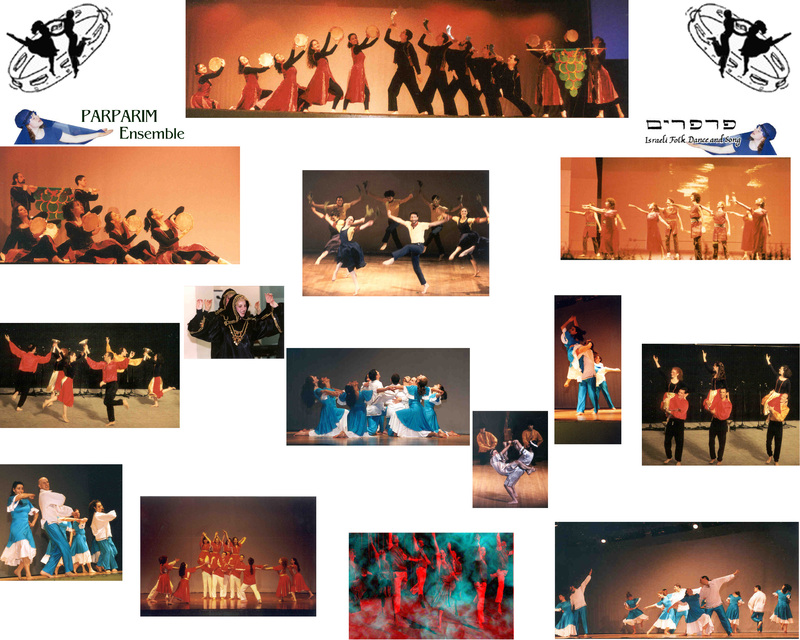 Spirited and captivating, Parparim has thrilled audiences in the United States and Israel since 1975. Under the direction of Ruth Goodman, the Ensemble continues to expand its repertoire, inspired by the many influences shaping Israeli folk dance today. Parparim welcomes audiences large and small, young and young at heart, and can accommodate the special needs of sponsors. Instructional workshops may also be arranged. Every program, whether a full concert or informal performance / instructional offering, involves the audience in an exciting, unique and educational experience. The Parparim Ensemble has performed throughout the United States and Israel at major concert halls and arts centers, Jewish community centers, college campuses, summer camps, elder hostels, Israeli and international festivals and has been featured on network television programs. Expressive and energetic, Parparim continues to delight its audiences.